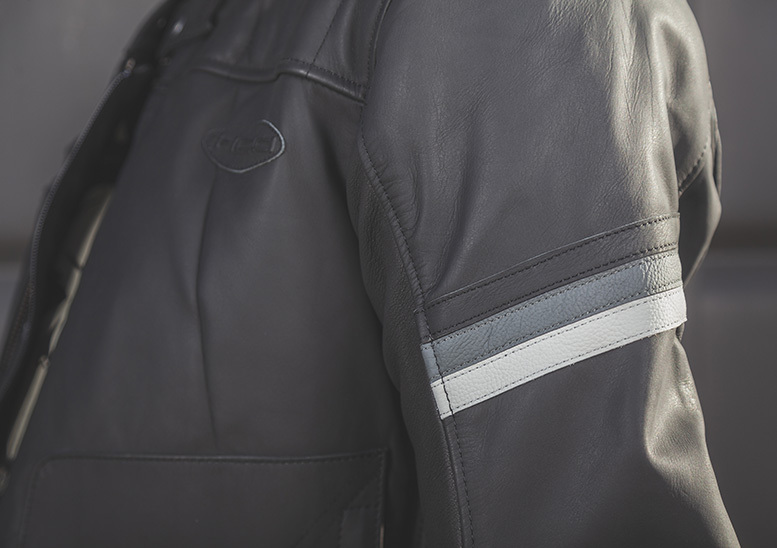 This is one of five new leather jackets from Held for 2019, with a soft cowhide construction and retro styling. 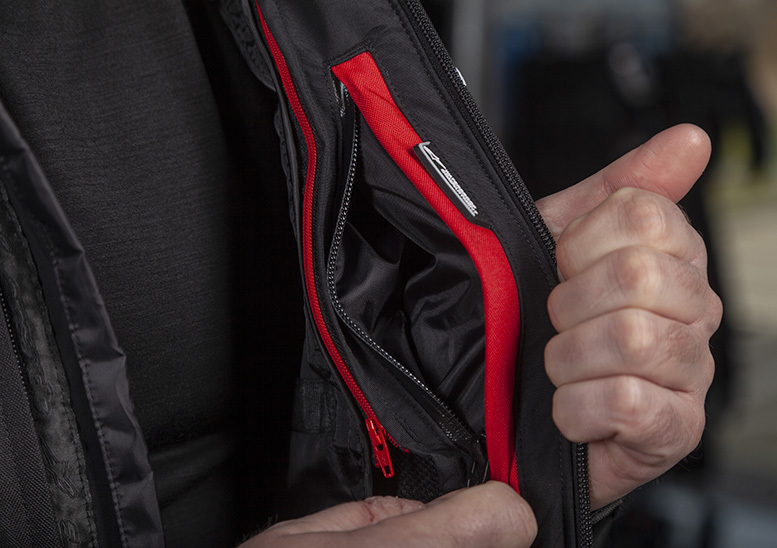 The Held Hot Rock (see main image and details below) is a classy offering with high-quality touches like the 3D bubble lining at the back, which helps cooling air circulate around the body, and a magnet to close the zip covering tab at the base. There’s CE Level 1 armour for elbows and shoulders, with provision for optional chest, back and rib protectors. 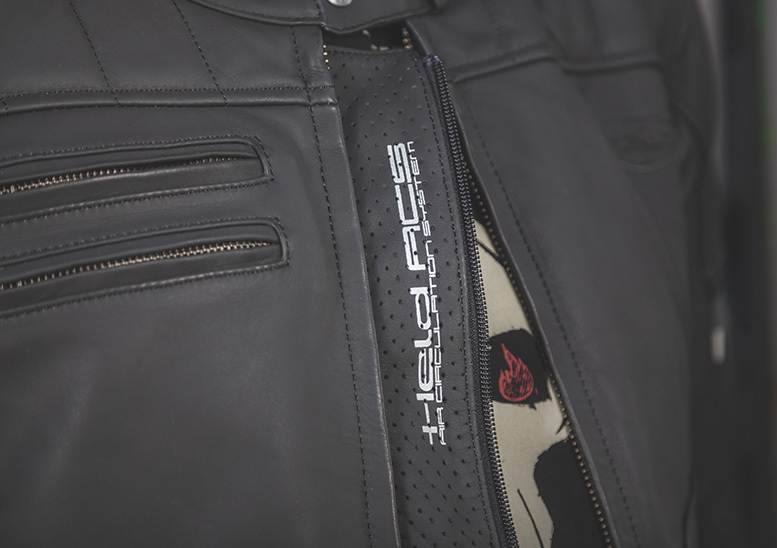 It features Held’s Air Circulation System, which involves fastening the jacket using an internal zip connected to a perforated leather panel. This then sits front and centre, giving the option to ride with more breeze coming through. 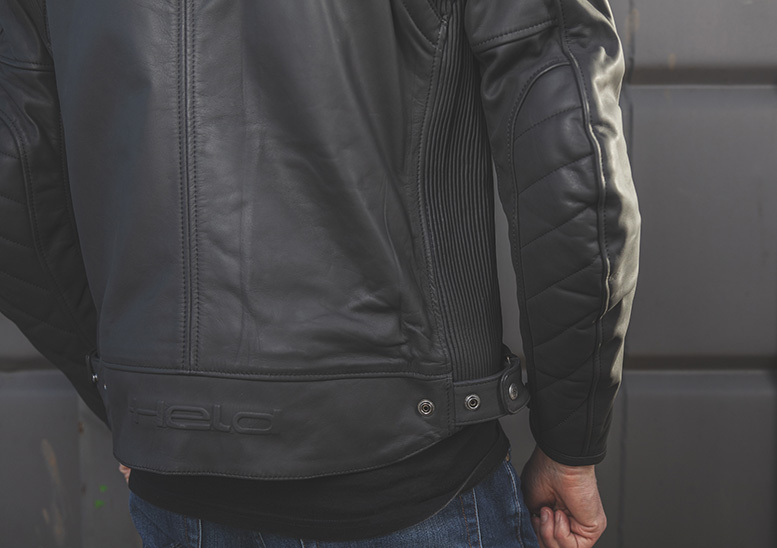 The new jacket, which is designed to connect to Held’s forthcoming Spector leather jeans via a long connecting zip, comes in black with grey trim and launches at £395.99 in sizes 40in-50in chest. 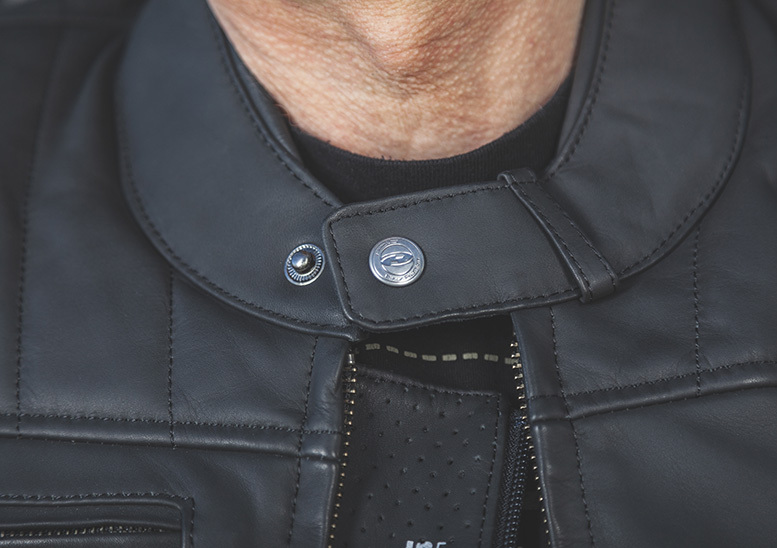 We often find ourselves writing about a twist on a theme rather than something outright new, but this is different – motorcycling dungarees. 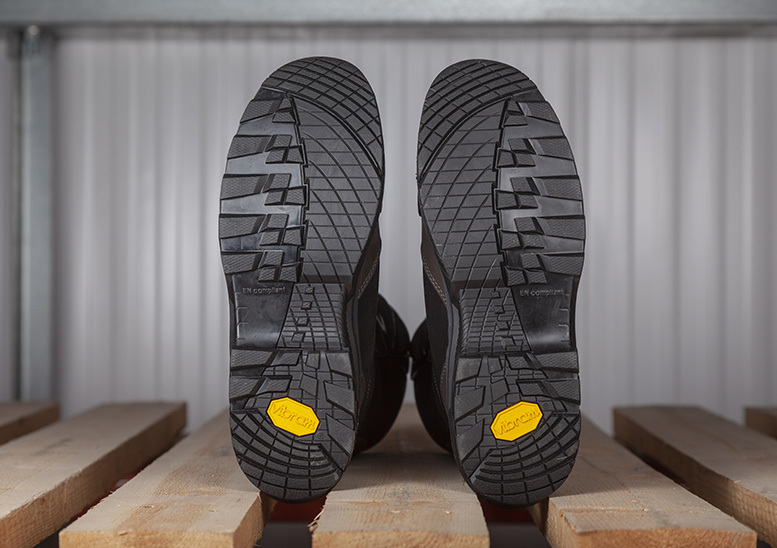 The Resurgence Pekev Dungarees use the company’s abrasion-resistant Pekev lining on the seat and from waist to boot on the front of each leg. 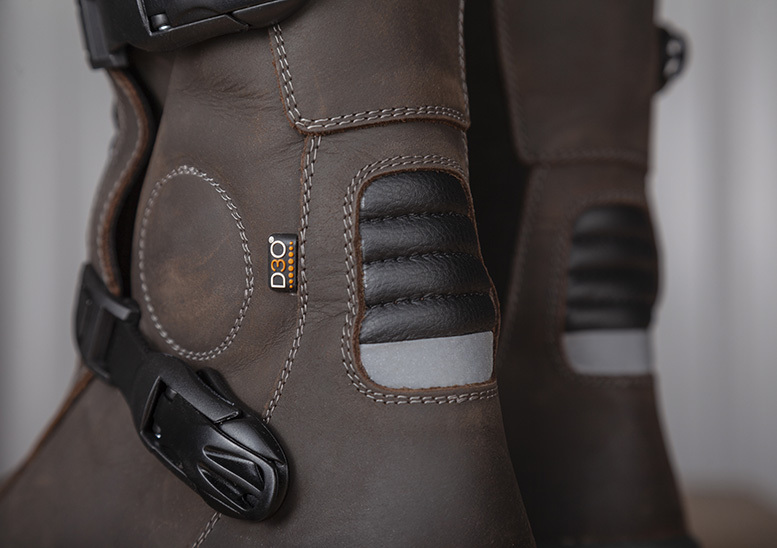 The dungarees also come with D3O Level 1 CE armour for both hips and knees, with the latter height-adjustable in its position to make sure it covers the right area. 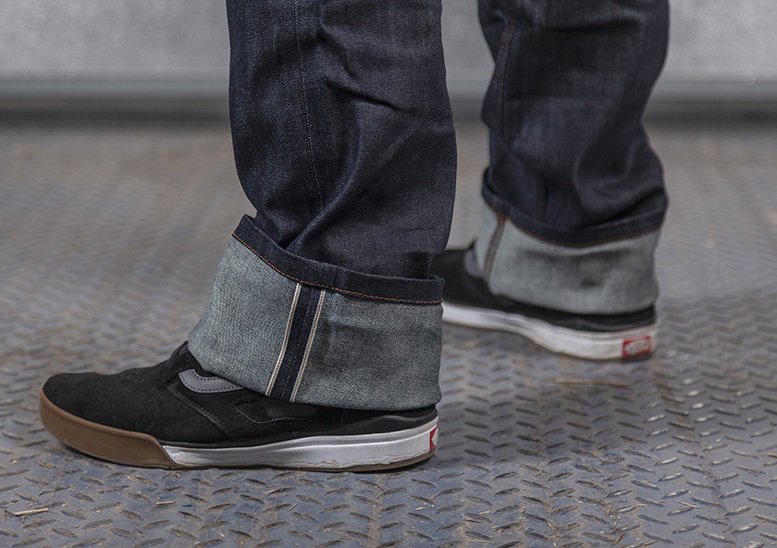 Resurgence are denim aficionados and have used beautiful selvedge denim for the construction of the dungarees, with a mesh lining between the denim and the protective Pekev material. The inner part of the outermost seam on each leg is covered by a neat red-stitched stripe of denim to create a classy look when the legs are turned up. 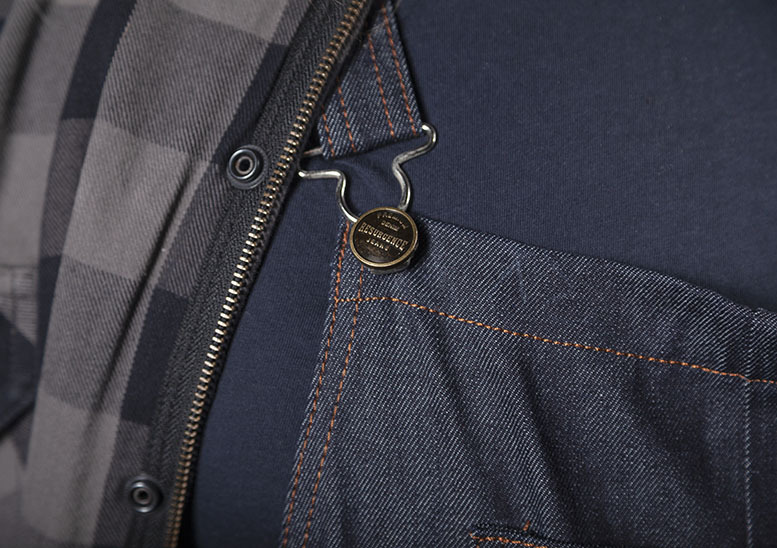 The strongest lure of the dungarees is the styling, but if it helps to have a practical benefit then the addition of a torso section will stop the bottom half sliding down and creating a large gap between jacket and jeans. 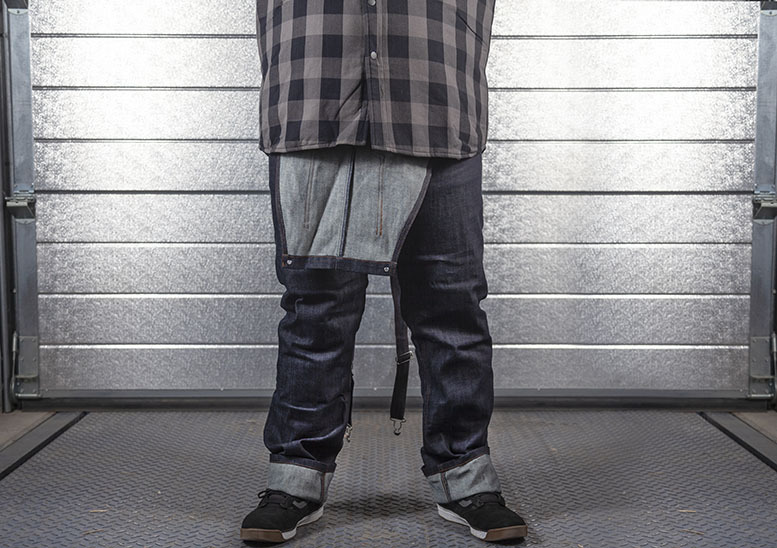 Blokes can choose the new dungarees in waist sizes 30-44in with either a regular 32in leg or long 34in, in blue only. Women get a bit more choice, with either black or blue denim in sizes 6-20 with a 31-inch inside leg. 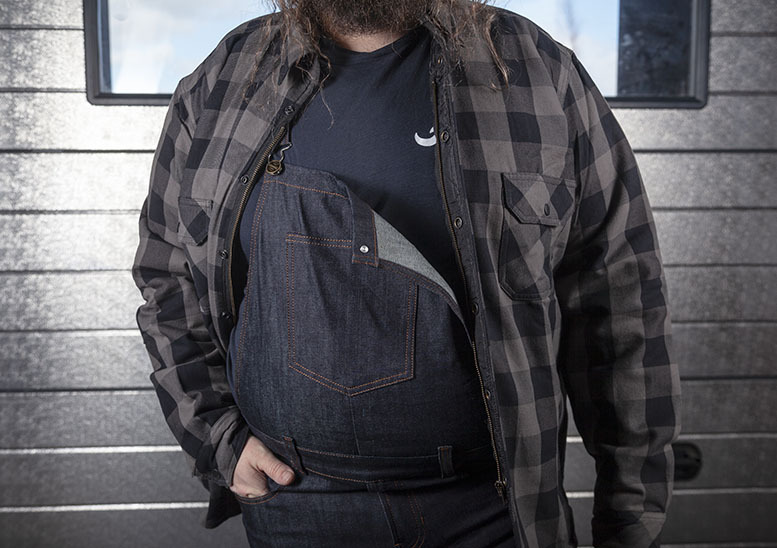 The dungarees are launching at £249 with the armour included. Much as we may protest, smartphones have become an important part of our lives and can be vital when we’re out on a bike. 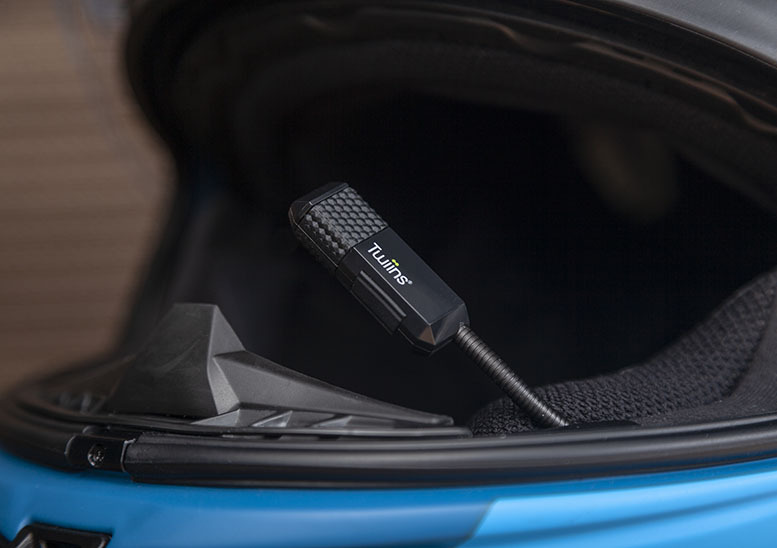 These new intercoms from Twiins are the simplest and least fussy way we’ve yet seen to stay connected to a phone while riding. 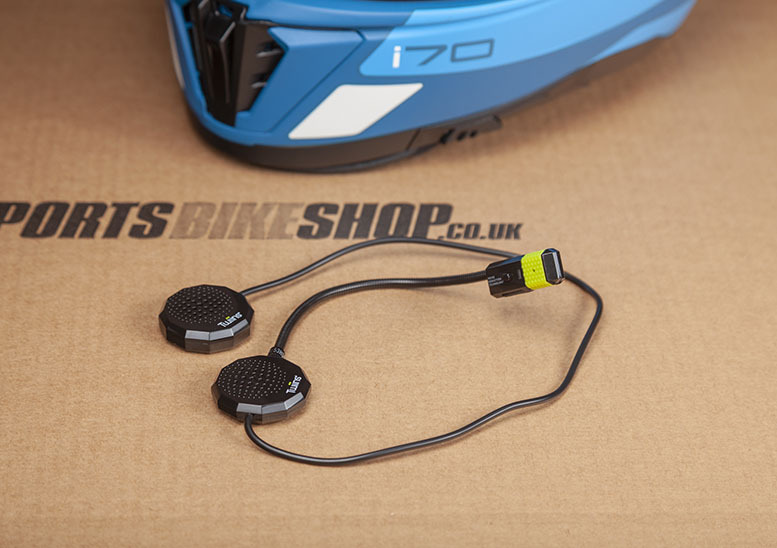 Rather than have a control/power unit that sits outside the helmet, everything is integrated into an earpiece that’s still slim enough to fit in the recesses sculpted into many modern helmets for just that purpose. A boom microphone extends to sit in front of the rider’s mouth, where there’s also the single button that operates the simple functions. 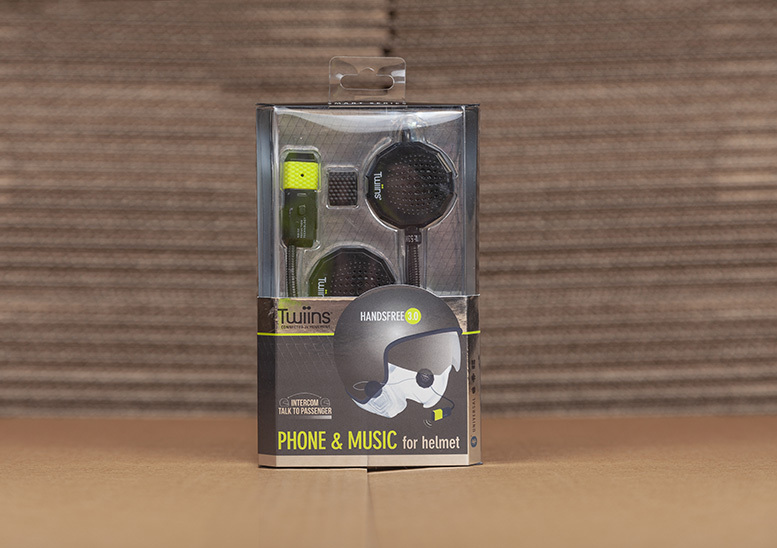 Music or sat-nav instructions sent from a phone via Bluetooth are played through the earpiece, and a simple voice command allows you to answer the phone without needing to press the button on the mic. That’s the extent of capability on the HS1.0 and HS2.0 units, which have one and two earpieces respectively, though you can redial the last number on your phone by pressing the button on the microphone. The HS3.0 unit has the additional capability of connecting to a second unit so you can communicate with a passenger. 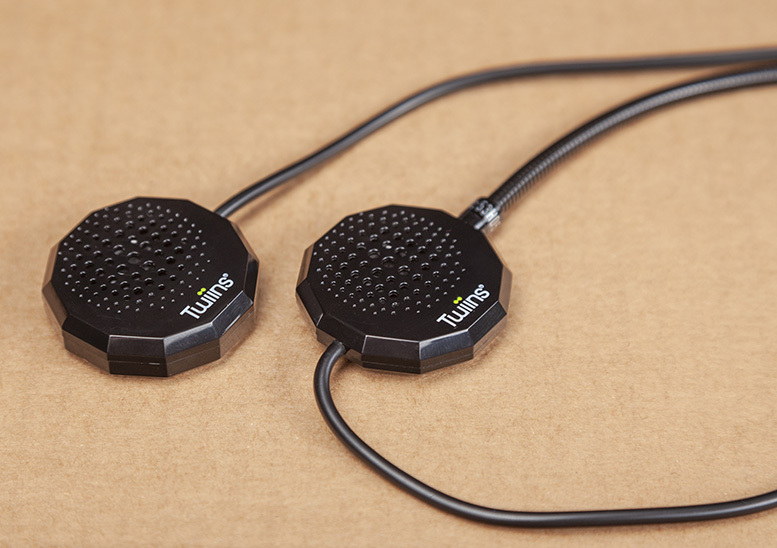 As well as being simple and subtle, the Twiins units are cost-effective. They launch at £49.99 for the single-speaker HS1.0, £59.99 for the twin-speaker HS2.0 and £69.99 for the HS3.0 that can connect to other units. Check the range by clicking here. 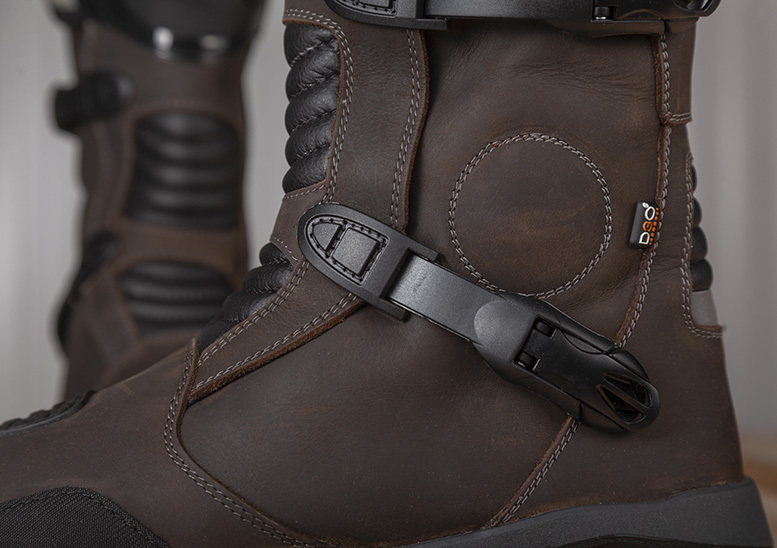 Italian boot boys Falco had a good deal of success with their popular Mixto 2 adventure boot, so it’s not the greatest shock of 2019 to see they’ve followed up with the Mixto 3. 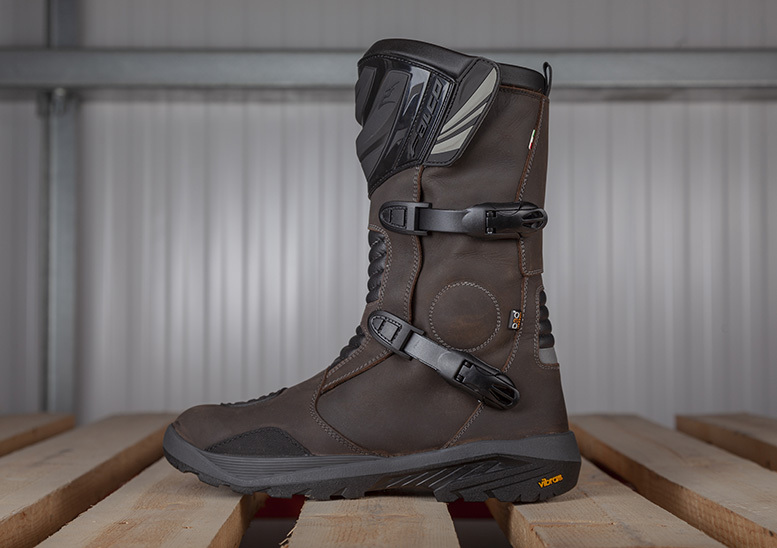 They’re adventure touring boots so they’re more suited to long distances in the saddle than clambering over craggy rocks on a knobbly-tyred enduro bike. 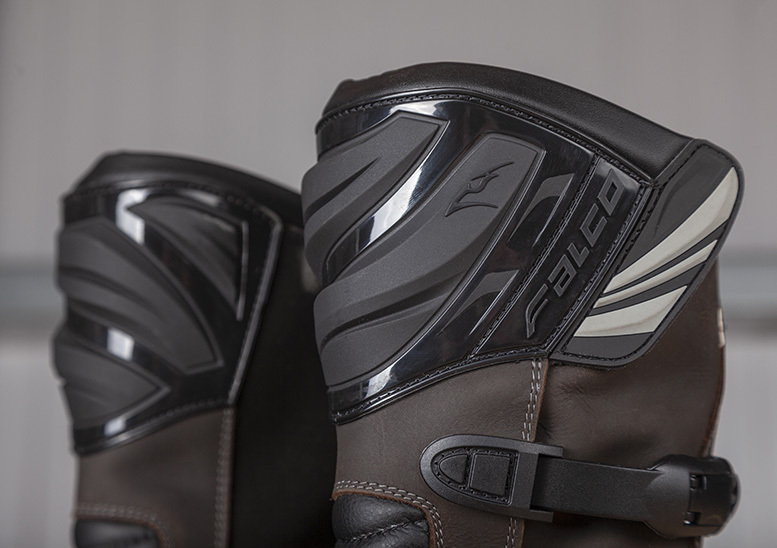 But the motocross-style clasp fasteners allow a wide range of fit adjustment and will perfectly complement bikes like BMW’s uber-popular R1200GS. The brown leather outer is oil-treated for a vintage look and there’s a High-Tex waterproof membrane to keep the rain on the outside. 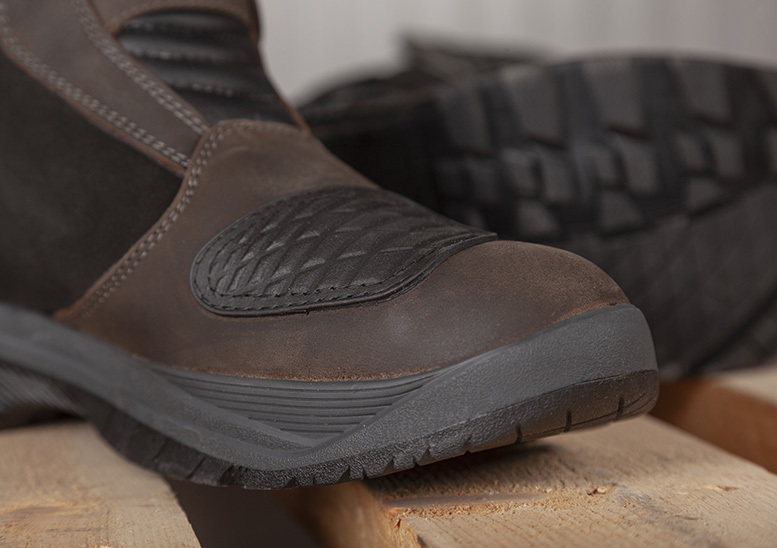 Hard protection for heels, toes, both sides of the ankles and also the shins is essential – and there’s a padded gaiter around the top to make sure they’re comfortable when worn next to the skin. 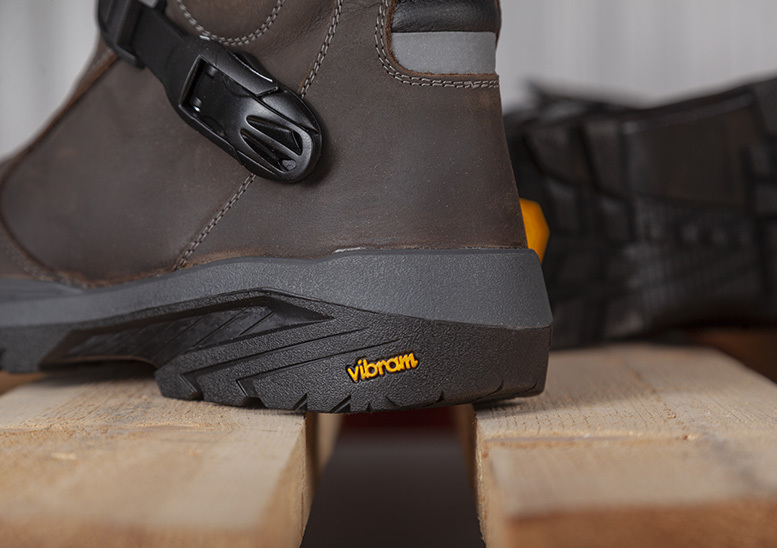 The footbed is comfy padded foam and the sole blends chunky blocks for grip on dirt and a sleek profile for comfort on the pegs and hard surfaces. 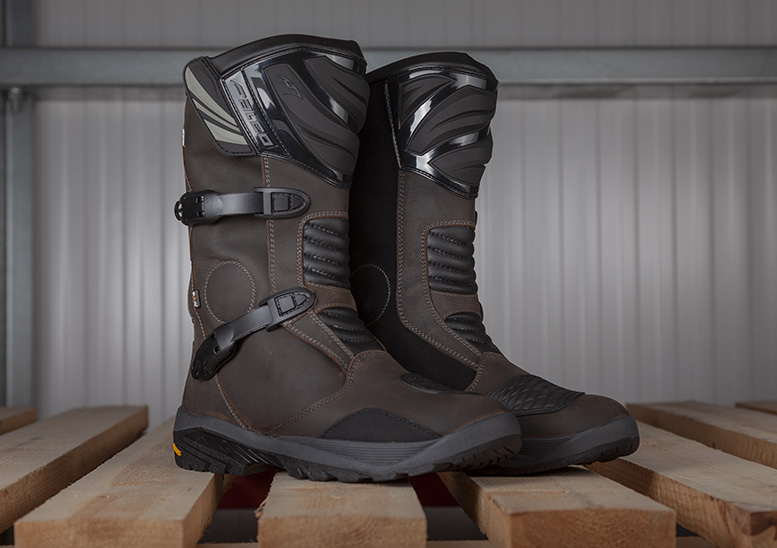 The new boots come in brown only, in sizes Euro 41-47 (7-12 UK). 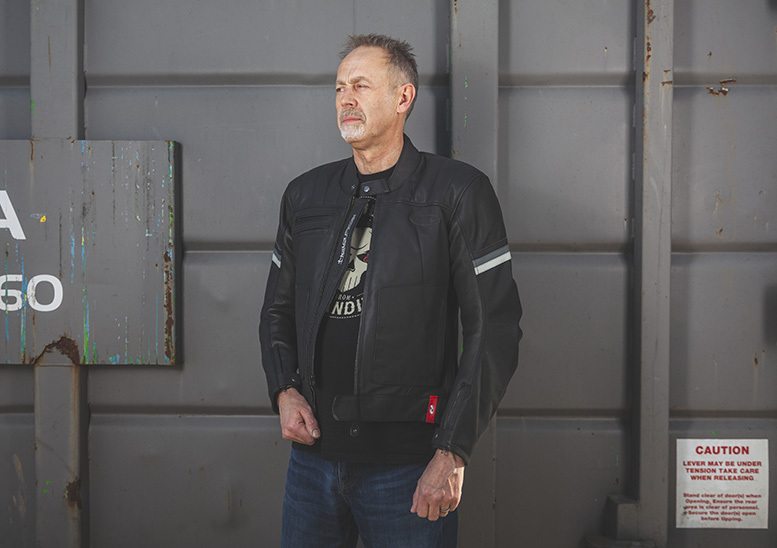 Textile jackets don’t have to be plain black affairs or be covered with high-viz yellow material – and here’s the proof. 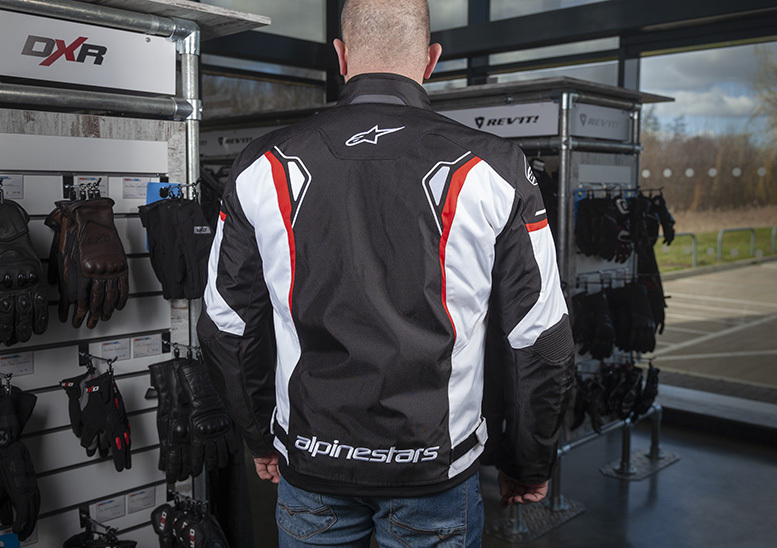 Alpinestars’ sporty outlook carries across from its leather jackets to textiles, with the colourful new T-SP-1 Waterproof. 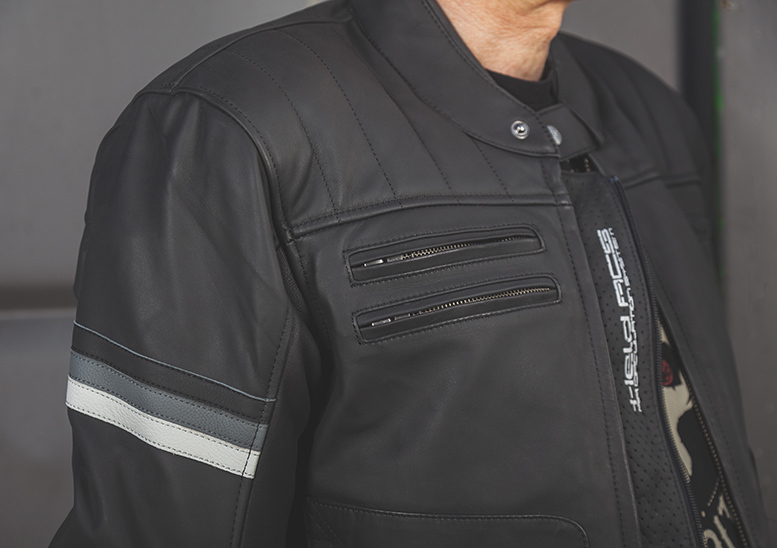 The bulk of its shell is made from tough polyester, with reinforcements in key impact points, and there’s also Level 1 CE elbow and shoulder armour. 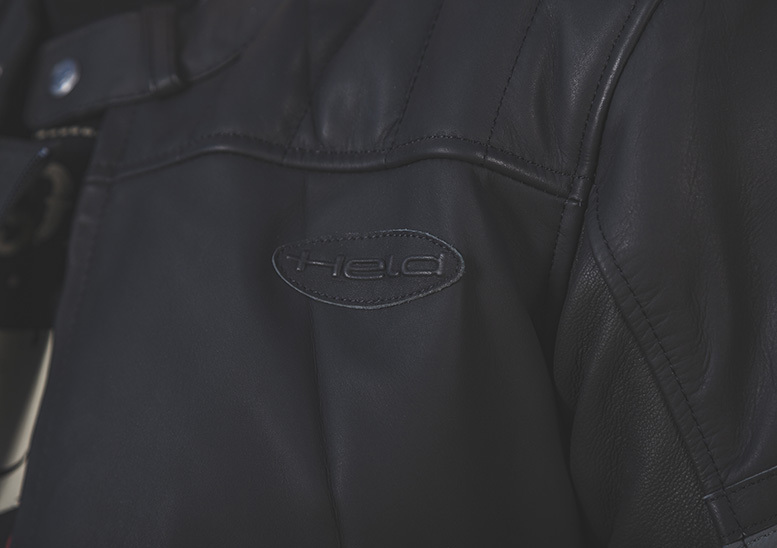 The breathable waterproof membrane is fixed in place, though the quilted thermal liner can be zipped out for riding on warmer days. 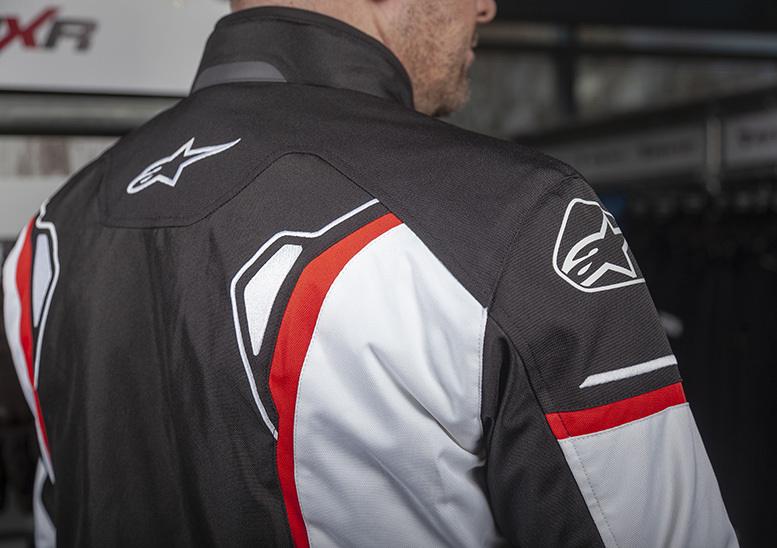 Zipped underarm vents help draw in further cooling air and there are extra practicalities like a waterproof internal pocket, light-reflective panels and a long connection zip that attaches to Alpinestars riding trousers. 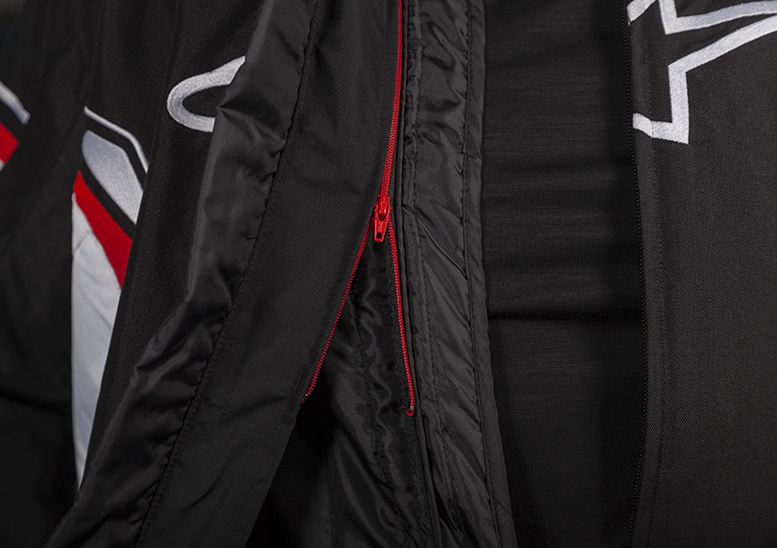 The black/white/red and black/white options have landed, with black/yellow expected soon. All three launch at £179.99 in sizes S-4XL (40in-52in chest).